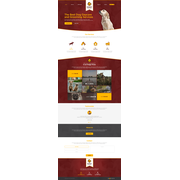 "Great designer, extremely clean and professional work "
"Rami designed a home page for me. He had great design and was very easy to work with"
"Was great working with Rami. He provided instant feedback and delivered professional designs."